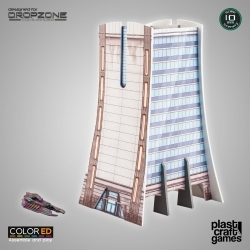 designed for Dropzone Commander There are 6 products. ColorED edition 10mm scale scenery set. 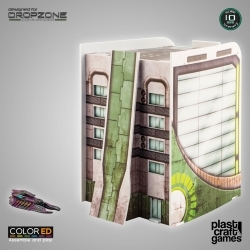 The City Hotel is officially designed for Dropzone Commander so it has been made to fit perfectly both with the aesthetic and model scales of the game. ColorED edition 10mm scale scenery set. 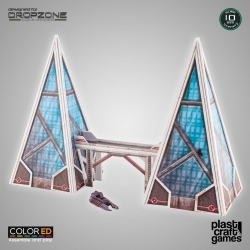 The Twin Pyramids are officially designed for Dropzone Commander so they have been made to fit perfectly both with the aesthetic and model scales of the game. ColorED edition 10mm scale scenery set. 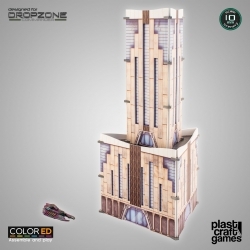 The Corporation Building is officially designed for Dropzone Commander so it has been made to fit perfectly both with the aesthetic and model scales of the game. ColorED edition 10mm scale scenery set. 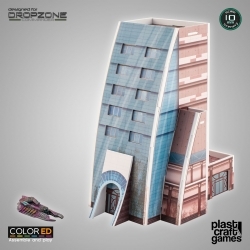 The Office Building is officially designed for Dropzone Commander so it has been made to fit perfectly both with the aesthetic and model scales of the game. ColorED edition 10mm scale scenery set. 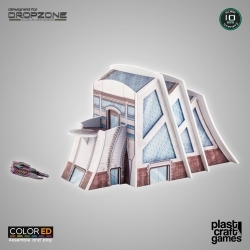 The Air and Space Museum is officially designed for Dropzone Commander so it has been made to fit perfectly both with the aesthetic and model scales of the game.